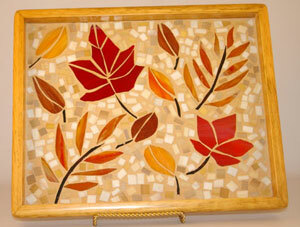 This new design of leaf tray features bright red and orange leaves. All multi leaf trays are different . Some have oak leaves , some maple leaves of various sizes and others feature compound leaves.